Fidelène Darilien graduated from the CLM program in January 2019. Starting from nothing, she had managed to build a reliable small business selling groceries out of her home. She focuses on staples, like rice, beans, sugar, flour, and oil. She’s now an important contributor to her household. She lives with her mother and two younger brothers, but only she and her mother have steady income. Her brother occasionally drives a motorcycle taxi, but since he does not own a motorcycle, his opportunities are rare. Her mother has a very small business, one much smaller than Fidelène’s. She roasts peanuts and strolls through Gwomòn, the nearest town, selling little bags of the for them five gourds as a little snack. That’s now just over six cents. Before she joined the program, things were difficult. They were living in a home that offered little shelter. It had an old, tin roof, but its walls were woven out of coconut leaves. They had trouble keeping themselves fed. 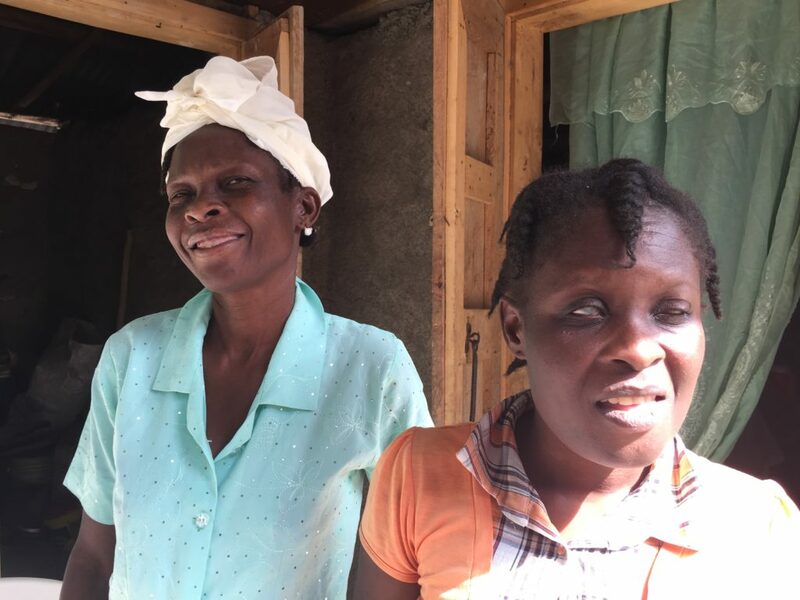 Fidelène had tried to start a business by borrowing some seed capital, but her customers would buy on credit, and then she wouldn’t always be able to collect. When the capital first disappeared, she tried to keep the business going by looking for wholesalers that would sell her merchandise on credit, but because she couldn’t count on her customers to pay her, she would run into difficulties paying her suppliers, too. By the time she was selected for the CLM program, her business had dried up. She chose goats and small commerce as the two assets she would receive from the program. With help from her mother and brothers, she has taken good care of her goats. Fonkoze gave her three, but she now has five, with one ready to give birth. She has also invested some of the income from her business in poultry. She now owns 17 chickens. It wasn’t an easy decision. Selling out of her home means that her customers are neighbors, family, and friends. And since her business is basic groceries, her customers sometimes really need what she’s selling. Some days, a little bit of rice from Fidelène might be all that keeps a neighbor’s family fed. And refusing a close neighbor at a difficult moment can create enmities that last. 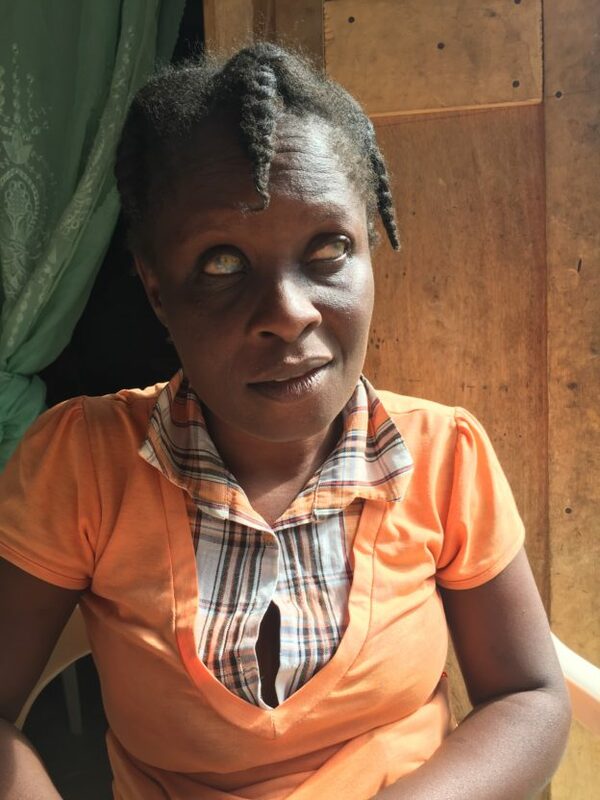 Fidelène, in fact, needs a number of special strategies to manage her business because she is blind from birth. She would not have qualified for the CLM program otherwise because she has no dependent children. It would be difficult for her to go to Gwomòn to buy her merchandise, so she has her mother do so for her. Keeping control of her inventory might be difficult, but she had a small, narrow room built into her home. It’s not much wider than the doorway that leads to it, and she sits right in front. Anyone who wants to handle her product has to pass by her. And though she cannot see the money people pay her with, she is able to distinguish the various bills they use and give back the right change by touch. Now that she has graduated, Fidelène is making plans for her future. She knows that if she takes good care of her goats and chickens, they are likely to continue to reproduce. She is hoping to have enough so that she can eventually sell off some to buy a cow. She plans to help herself by always saving something out of what her business earns for her. And she has set her sights farther. Once she has a cow, she will start looking for land she can buy. This entry was posted in Chemen Lavi Miyo on January 31, 2019 by Steven Werlin.